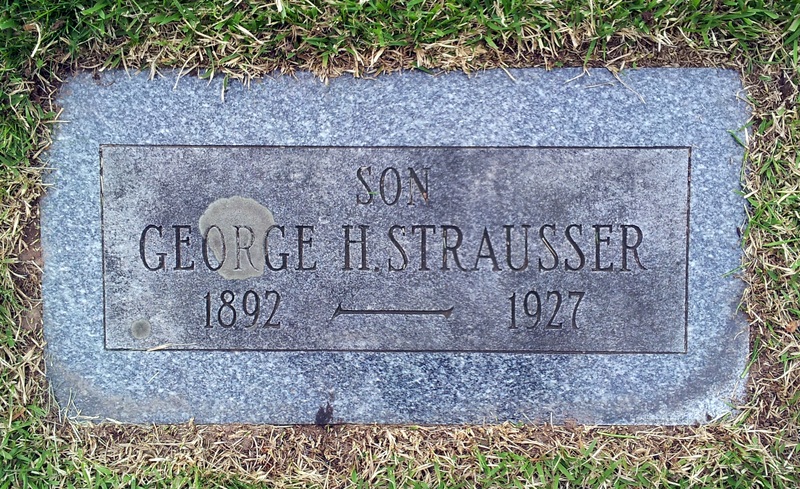 My great grandfather, George H. Strausser, passed away on this date eighty-six years ago at the age of thirty-eight. Though he was able to witness the birth of his youngest child, my grandmother, he would not live to see her first birthday. What happened after his death is another story, or few stories. The only thing my grandmother knew about George was that he died in an unknown coal mine. II asked about his death during my entire youth but the story never changed and no slips were made…so there went my theory of a deep dark scandalous story. For many years the only evidence of his existence was the 1900, 1910 and 1920 US Federal Census. The first breakthrough came a couple years ago with the discovery of the Coal Mining Accident Registers database made available by the Pennsylvania State Archives. Page 29 told me what happened, where it happened, and that it was “unavoidable”. Accident Cause or Remarks…”fall coal blocking timber gangway”. 2012 was the year of breakthroughs in my search for George. Last February I made the trip to the PA State Archives in Harrisburg hoping to get a copy of George’s death certificate. So now I knew that my great grandpa died from a fractured skull but more importantly the certificate told me where he was buried. Now you know this crazy obsessed genealogist wasn’t about to wait for warm spring weather to go track down his grave. The next day I made the three hour trip to Odd Fellows Cemetery in Coal Township with no real plan but a willingness to search. About an hour after arriving I was standing over his marker feeling like I had been there before. Sure enough, I had found this grave back in 2007 amongst a large Strausser lot but wasn’t certain which of the half dozen or so George Straussers this was. 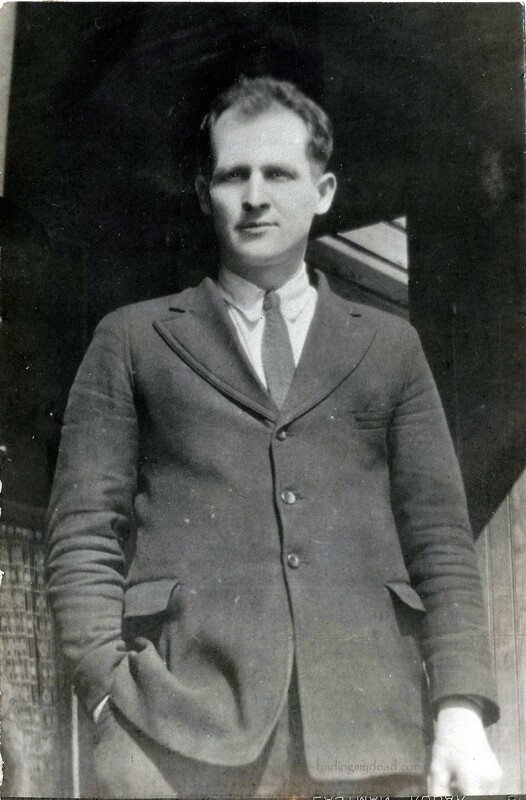 Among pictures that were passed on to me and some that were loaned to me for scanning were three pictures of George Strausser. This year I met a cousin a few times removed (who is more than twice my age and was close to my great grandmother) that had been recording his family tree and stories about the people for many years and he just happened to have one story that involved George. “George came home from work on a pay day. Bid was supposed have taken his pay. She wouldn’t give it to George. George went to the outside toilet and Bid told him he must have lost his money in the toilet. He got a flashlight and went looking for it in the toilet. – By Royal”. Bid was George’s wife Mae, whose real name was Ada Mae. This is the only story I have about my great grandpop and I can’t help but find the irony and humor in that it involves another of my obsessions…outhouses. I am hoping to share more about George in future posts. Hmm, I didn’t know about the Coal Mining Accident Registers. Sounds like a great resource! Great story about your g-grandpop also! He was handsome. Looks like a kind face. Thanks and I agree that his face looks kind. Oh, if you have Pennsylvania miners in your tree then the accident register is a great resource. It tells you so much information, right down to how long they had been a miner. The State Archives have made this so easy to use but feel free to drop a line if you need any more info. Hopefully it will be able to help you.